Whooohoo! The party and festive season is upon us! But we have to be responsible too, and when it comes to looking after our children you can't go wrong with Mrs. Kim Simplis Barrow. And you know that the future of our country depends on the smallest citizens, right? 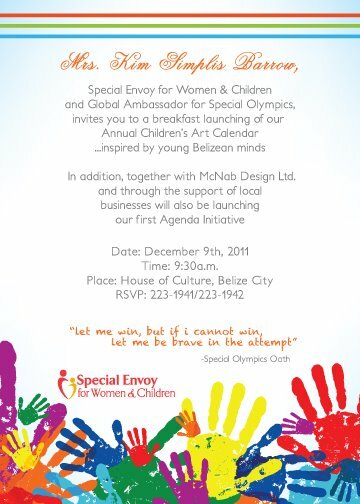 So please come out and have breakfast at The House of Culture, Friday, Dec. 9th at 9:30 a.m. sharp. You might just like what you hear!